Kolkata: In the Thomson Reuters Foundation’s Perception Poll, India has become the most dangerous country for women in the world. According to the poll, even the women of war-torn Afghanistan and Syria are better than Indian counterparts. The incident of Indian External Affairs Minister Sushma Swaraj getting threats for helping an inter-faith marriage couple in making passport only proves the poll correct. However, it only strengthen our believe that crime against women in India is having a drastic rise and there should be some concrete step to curb it from every section of the society. 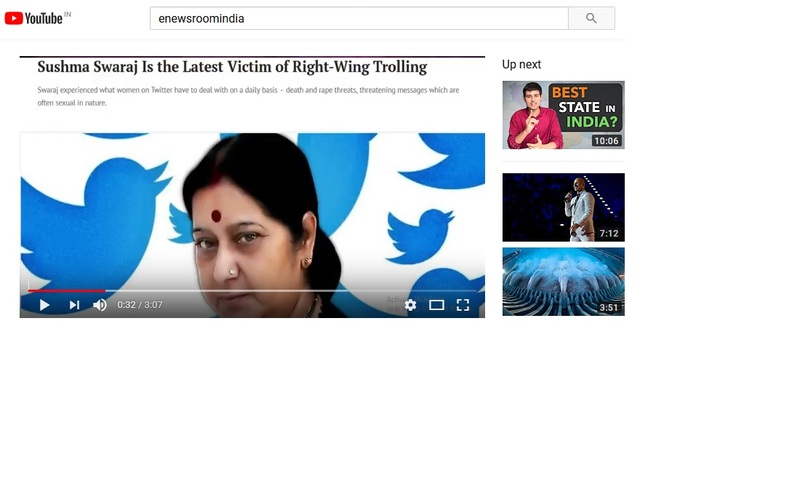 eNewsroom, which has always concern to do meaningful journalism has started a new section– Gender Violence Watch to report the stories of gender violence till the victim or survivor get justice. Please watch our video, prepared after Thomson Reuters Foundation poll, and please contribute to our crowdfunding campaign.